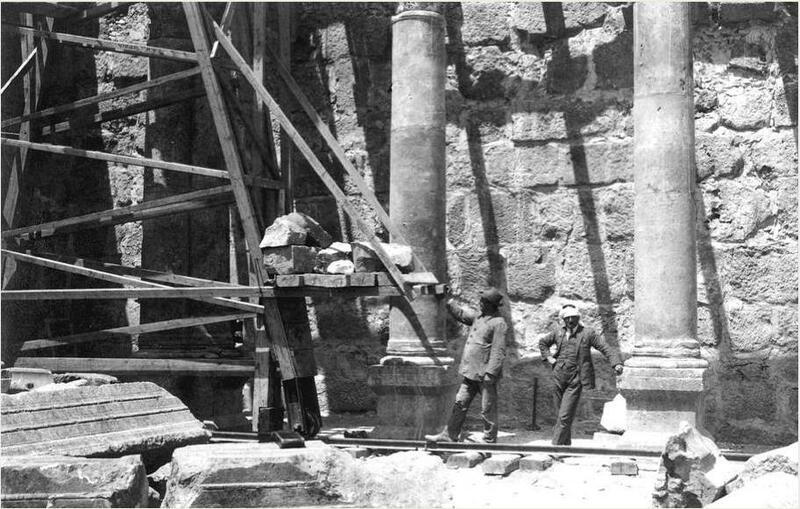 The first systematic exploration of Damascus is credited to the German archaeologists and historians Carl Watzinger (1877-1948) and Karl Wulzinger (1886-1949) who devotedly and rigorously researched and described the city’s monuments attempting in the process a restitution of its ancient urban fabric. Their field work was started in January 1917 and continued until December of the same year. Its publication had to await the conclusion of the Great War (WWI). 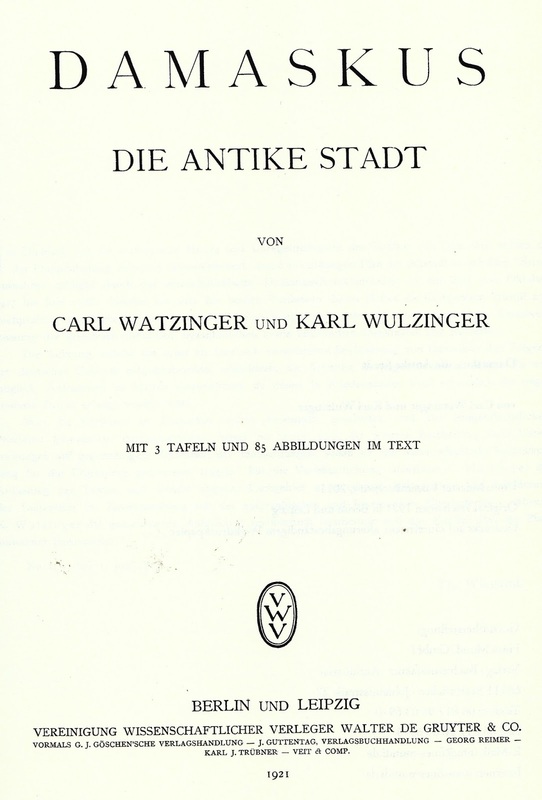 The end result was two priceless books: Damaskus, die antike Stadt (Damascus, the Old City) published in 1921 and Damaskus, die islamische Stadt (Damascus, the Islamic City) published in 1924. Much has been written about the Syrian capital since and quite few of Watzinger & Wulzinger’s conclusions challenged. Still, their work is so frequently quoted that it may not be an exaggeration to consider it the “reference standard” as far as the archaeology and history of Damascus are concerned. One would think that a seminal and meticulously researched work such as this would be widely translated but this is hardly the case. 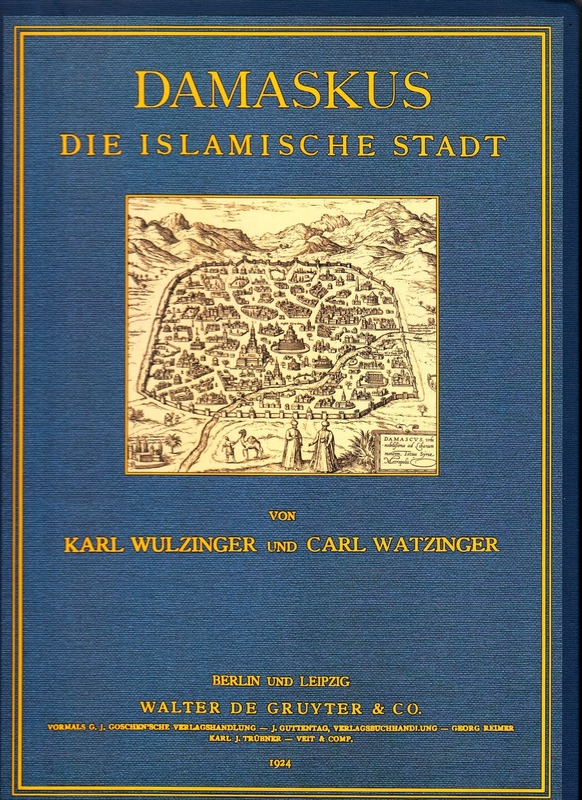 The sole translation (German to Arabic: to my knowledge the work is not available in any other language) that I am aware of is of only part two (the Islamic City) and a copy of it is quite difficult to procure. It was performed by Mr. Qasim Tweir and commented by Dr. Abdul Qadir Rihawi. It is my hope to see the day when a professional translation of part one (the Old City) takes place and the two volumes of this precious study published in Arabic along with their numerous maps, diagrams, and historical photos in an attractive edition worthy of our Eternal City.